If you demand more from your equipment, you should demand a DeWalt Industrial Grade Steel Headache Rack from The Rack Warehouse. 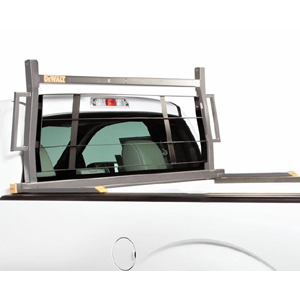 RackWarehouse.com stocks DeWalt Pickup Truck Headache Racks, DeWalt Cab Window Guards and DeWalt Window Guard Mounting Kits. All 2014 DeWalt Pickup Truck Window Guard Industrial Grade Hi-Vis Screens and DeWalt Pickup Truck Industrial Grade Louvered Screens are on closeout at 50% off. Quantities are limited.